We are well-known for our encouraging and supportive atmosphere with no-drama! 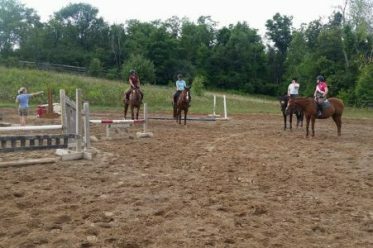 Our riders gain solid skills and confidence as they grow and expand both their riding skills and their horse knowledge. 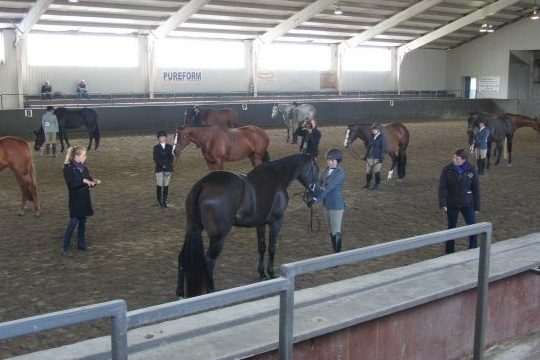 Lessons are focused on progressively developing skills and strength in both the horse and rider. Low or lost confidence? We can help you have fun and enjoy riding again! 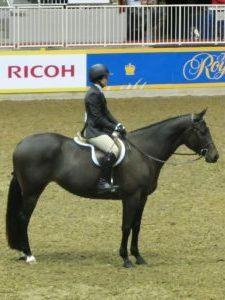 Coaching is available in dressage, eventing, and hunter/jumper. Pleasure and casual riders are always welcome! We regularly attend the Old Orchard schooling shows (hunters and jumpers) as well as local dressage schooling shows. 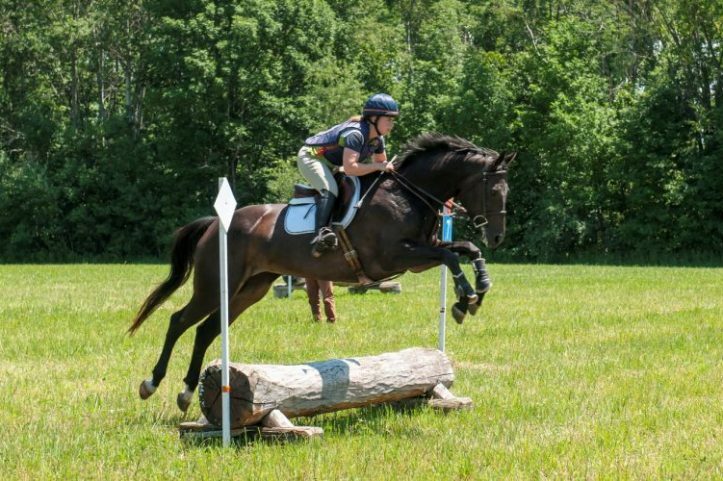 We also attend local Horse Trials and Trillium shows should riders be interested. Lessons are available for Rivermore boarders and part-boarders only. No riding school to compete for arena time. We offer private and semi-private sessions so you and your horse can get the one-on-one attention you need to achieve your goals. Nervous about your first show? Green horse? Trying a new discipline? 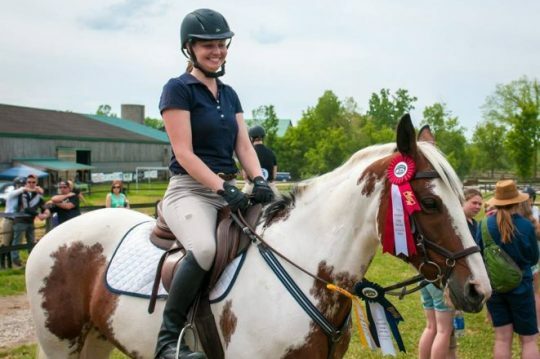 We attend the Old Orchard schooling series as well as local Horse Trials, Dressage shows and Trillium shows. 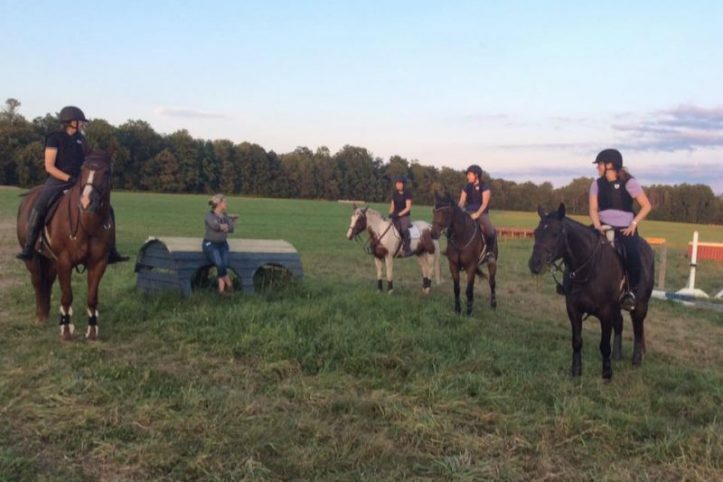 Join the Rivermore team for cross-country schooling or take your horse off-property for more experience to prepare for an upcoming horse show. Both Annie and Lise have extensive experience starting and bringing along young/green horses. Our experience includes raising foals and ground training, starting and backing the young horse (for the show ring or racetrack), re-training off-track Thoroughbreds, and showing horses on the line (including the Cup Qualifiers and the Royal Winter Fair). 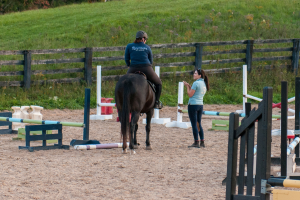 We can also help your horse transition to a new discipline confidently and successfully! 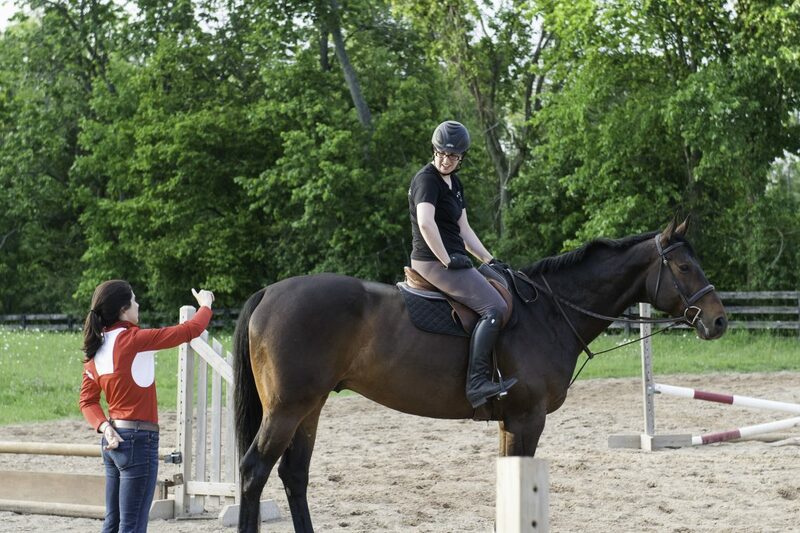 Lise and Annie believe in patience and compassion for the horse through their training. Horses are introduced to new challenges and concepts at their own pace to ensure confidence and future success. Training packages are available as an add-on to your board; we are happy to put together a custom plan based on your horse’s needs, whether it’s a regular program or simply a “tune-up” here-and-there. Limited spots available for young horse starting and backing. We take training slowly and progress only as quickly as suitable for each horse’s learning style in order to foster confidence under saddle. 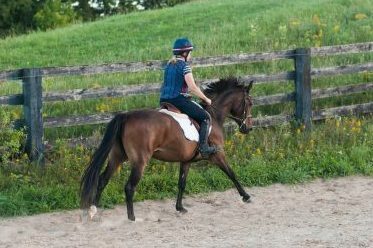 We can help you with your horse’s groundwork – whether it be loading on a trailer, standing politely in crossties, leading, preparing for line classes, etc. Do you or your horse need a change of scene? We can help you with a new discipline.